Lake Norman has many great places to eat. From BBQ to Sushi and from casual lake front to sophisticated dining experiences, Lake Norman has a wide variety of great dining experiences. Here is a list of our favorites! Offering Award-winning Wings & Philly CheeseSteaks, Pizzas, Flatbreads and Hand Cut Fries, just to name a few. Our award-winning craft beer selections contain unique and rare beers that can’t be found just anywhere. We have 5 locations in the Charlotte/Lake Norman area, 2 of which are in the lake area. 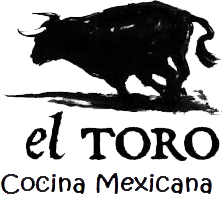 Family owned and operated authentic Mexican grill and bar. We take pride in our service and promise you a wonderful family dining experience. All of our dishes are made from our family recipes and are prepared fresh daily. Our menu is priced for the whole family with everyday lunch and dinner specials. Convenient location for visitors. Lake Norman’s best margaritas! Lake Norman’s favorite location for breakfast and lunch, Famous Toastery is all about the experience. Extraordinary food, combined with a home-style atmosphere and exceptional service, will leave you in anticipation of your next visit. Come in, enjoy a great meal, get to know the staff and become part of our family. We promise to make your first visit the first of many. Owned by JD Gibbs, President of Joe Gibbs Racing, and his wife Melissa. 100% of all proceeds generated by Groucho’s of Huntersville will be donated to several local charities close to the heart of the Gibbs family and others that will be rotated on a quarterly basis. They hope that customers will embrace the idea of giving back to their community while enjoying the best specialty subs, sandwiches, and salads the South has to offer! A casual, cozy, and family friendly restaurant that specializes in Italian American favorites and authentic Stone Hearth pizza and backed goods. They use only the finest quality ingredients, receiving produce and meat deliveries every day. Special sauces and dough are made in-house daily. 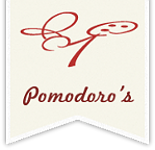 www.pomodoros.com. LOWBROW EATS AND DRINKS, FEATURING CHOICES FROM VEGANS TO CARNIVORES. An independent eclectic diner, where all walks of life come together over good eats and delicious cocktails. Serving Vegans to Carnivores offering daily food and drink specials, with a Fun and friendly atmosphere located in Huntsville and Charlotte. Tell ‘em LARGE MARGE sent’cha! Lake Norman’s favorite craft beer shop and tasting room. Dedicated to the art of craft beers, we have a selection of over 300 bottles and cans including many rare or unique brews you can’t fi nd anywhere else. And our 16 taps serve a rotating lineup of excellent beers. Relax and enjoy a special glass of beer, watch your favorite sport on TV; we’ll treat you like family. Located west of I-77 exit 35 at 134-C Mooresville Commons Way, Mooresville, NC 28117. A fresh new way to experience pizza, salads, paninis. It’s a place where everything is fresh, from the pizza dough that’s made in-store each day to the locally-grown veggies that are delivered every morning. It’s a place with almost limitless options. It’s a place where you build the pizza … without getting your hands dirty. You talk directly to the pizza maker and tell them exactly what you want. “A little more of this.” “A little less of that.” “And can I add that too?” Until it’s exactly how you want it. Mexican Cuisine with a modern, urban flair. Traditional favorites from around Mexico with a unique twist and all created with the finest fresh ingredients. Verde’s menu lets you explore the wonderful regional flavors of Mexico. Full bar, and outdoor patio dining.